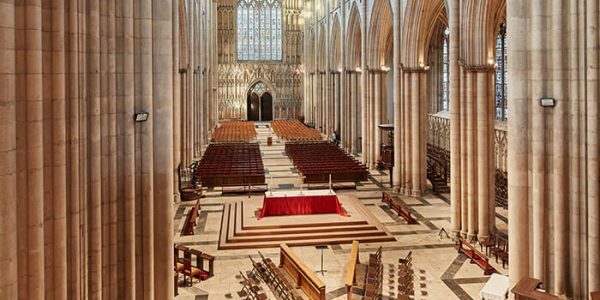 The cathedral’s interior is dominated by its magnificent, breathtaking and cavernous Nave, which has been a place of inspiration and wonder for people for centuries. 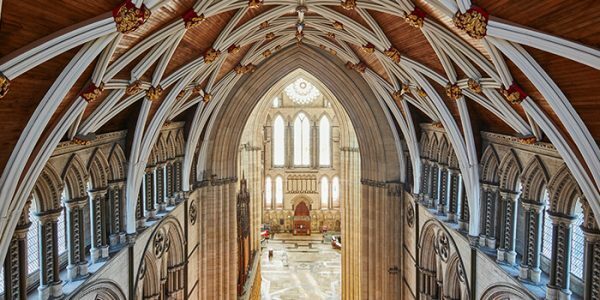 Work to build the vast space started in 1291 and took around 60 years to complete, with the finished product measuring 80m long, 30m wide and 29m high, making it the widest Gothic Nave in England. Begun in around 1220, the South Transept is the earliest part of the cathedral. 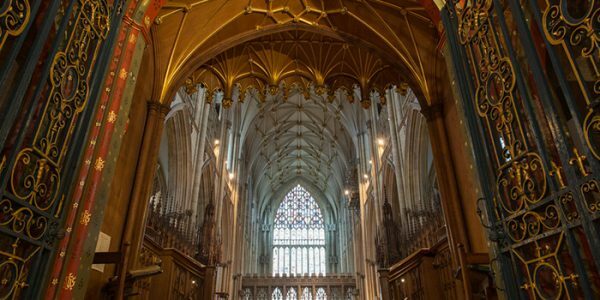 The wooden roof was rebuilt following a fire in 1984, which started after the Minster was struck by lightning, and six new bosses were designed and installed following a competition run with the BBC’s Blue Peter programme. The highest point in York and large enough to fit the Leaning Tower of Pisa inside, the Central Tower was originally built between around 1220 and 1253. It is the only part of the current cathedral to have collapsed, which happened in 1407 due to soft soil beneath its foundations. Climb the 275 steps to take in panoramic views of the city. This area is dominated by the Five Sisters Window - the only memorial in the country to women of the British Empire who lost their lives during the First World War. The window, which dates from the mid-1200s, was restored and rededicated between 1923 and 1925 after it was removed during the First World War to protect it during Zeppelin raids. 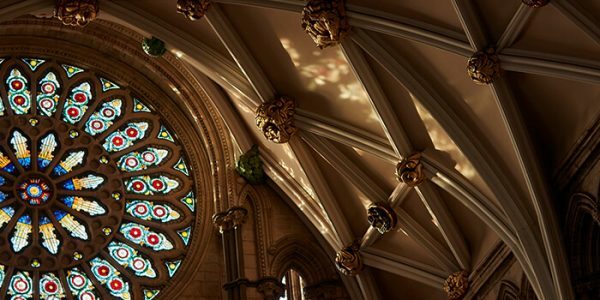 One of York Minster’s architectural gems, the Chapter House contains some of the Minster’s finest carvings and in 1297 was used as the location for the Parliament of King Edward I. The octagonal space dates from the 1280s and its magnificent, vaulted ceiling is supported by timbers in the roof, instead of a central column, which is the earliest example of its kind to use this revolutionary engineering technique. 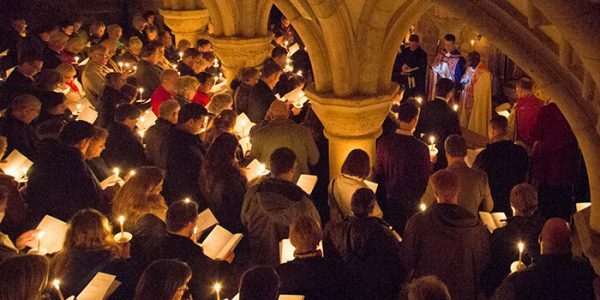 Most sung services, including our Evensong service, take place in the Quire. Built between 1361 and the 1420s, much of the original structure was destroyed in a fire started deliberately in 1829. The wider East End houses the newly restored 15th century Great East Window, the largest expanse of medieval stained glass in the country. 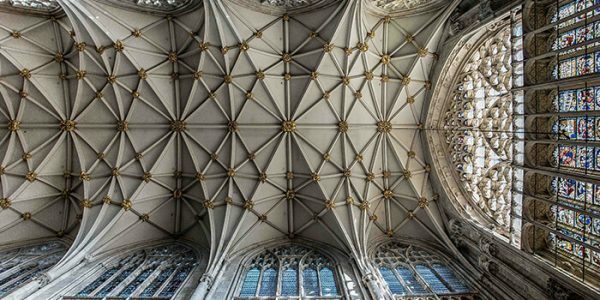 Explore 2,000 years of history housed in state-of-the-art interactive chambers beneath the Minster. 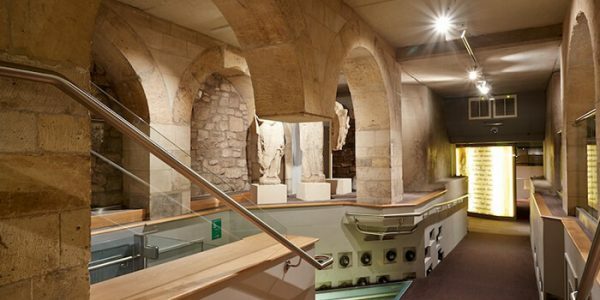 Visitors to the Undercroft, which is the only accredited museum in a cathedral in the country, can see the remains of Roman barracks, discover the Minster’s Viking connections and see artefacts never before on public display. The Treasury has displayed objects from the Minster’s 300,000 strong historic collection since the 1970s. 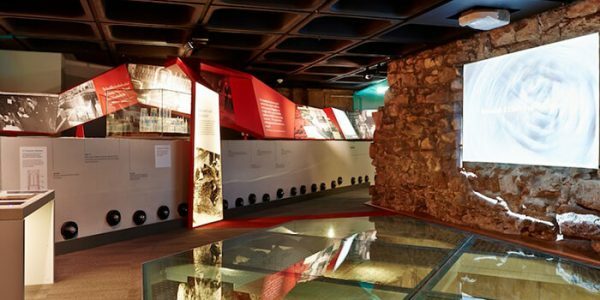 You can see part of the original Roman Principia – the administrative and religious centre of the Roman fort on which the cathedral is built – through the Treasury’s glass floor. The Minster has two Crypts, with the Western one rediscovered and brought back into use following a fire in 1829. It houses the tomb of St William of York, the only saint to be buried at the cathedral, who was canonised in 1227. 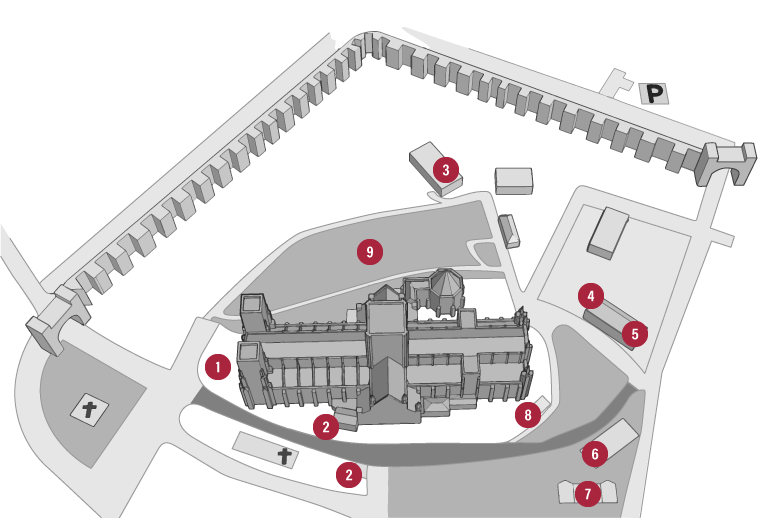 The main entrance to the cathedral can be found at its West End, which faces Duncombe Place. 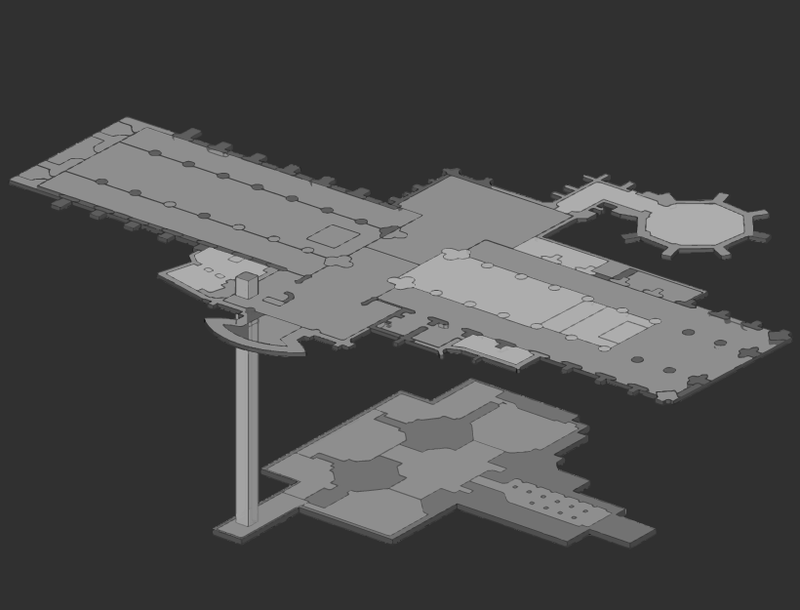 This includes ramped wheelchair access. The Minster has two Shops, one inside the cathedral and one at 9 Minster Gates, which offer a range of exclusive Minster-inspired gifts. The Old Palace houses the cathedral’s library and the team responsible for caring for our 300,000 strong historic Collection. The library is home to historic books from our Collection, as well as modern reference material available for loan. Learn more about our Collection here. Once described as ‘the most prestigious timber framed building in York’, St William’s College dates back to 1465 and is one of the oldest structures in the city. Its Grade 1-listed status places it amongst the top 2.5% of the most important listed buildings in the country. It is currently closed for essential repair and conservation work. 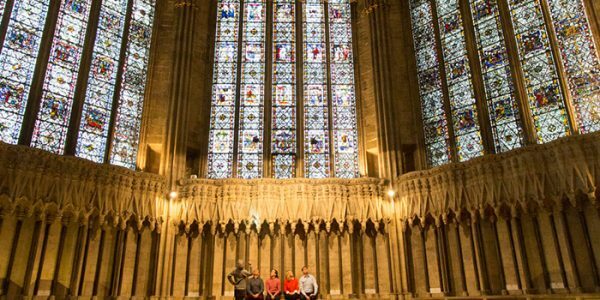 The Learning Centre offers a range of workshops to school groups to help pupils find out about past and present life at the Minster. Our teachers, who are based here, also run tours for schools inside the cathedral. For more information, visit our Schools page. Our Works Department has a range of skilled craftsmen and women who look after the 800-year-old cathedral and its precinct properties. 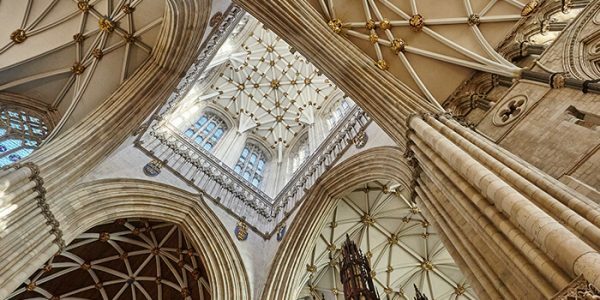 These include stonemasons – based in the Minster’s own Stoneyard – joiners, electricians, scaffolders, gardeners and labourers. See York Minster’s stonemasons at work in the Masons’ Lodge, a covered outdoor area used as a work space by the team. Stone carvings for current restoration and conservation projects are often left on show inside the compound. Spot our resident Peregrine Falcons while relaxing in the popular Dean’s Park, a grassed area open to the public throughout the year, generally from dawn until dusk.